South Africa is a country which despite having a remarkable constitution has shown scant regard for the human rights outlined by Chapter 2. 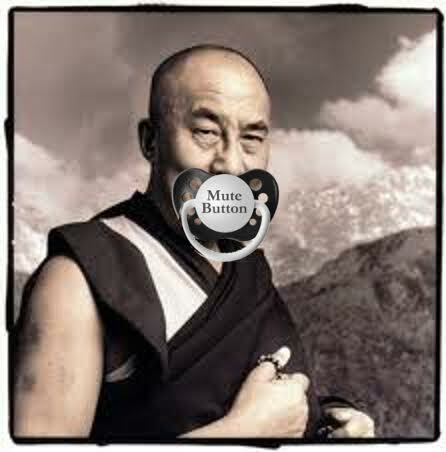 The recent debacle around the Dalai Lama is unfortunately, just the tip of the iceberg. If you recall, Chapter 2 is the chapter of the constitution in which our Bill of Rights exists. Is there any right that the SA government has not trampled on with its denial of a visa to one of the world’s great peace activists and religious leaders – His Holiness Tenzin Gyatso, the 14th Dalai Lama? One can name a number of freedoms off the top of one’s head, supposedly guaranteed by this document, all flouted in the name of political expediency. Three essential freedoms which have been trashed, (and which I find most troubling), are religious freedom, freedom of association and freedom of movement. The China First policy being advocated by Presidential candidate Jacob Zuma flies in the face of all that we hold dear as a nation — are we about to see on unfolding of racism and xenophobia in the form of South Africa for South Africans? To think that influx control and the dompas or passbook was in use, within living memory and barely twenty years ago, is stupefying. What is more, the days of Christian National Education and separate development appear to have no meaning for the ANC leaders of today. I recall attending a mass rally in the 80s held at the Cape Town City Hall, called by the Tibetan Friendship Society in which the Dalai Lama appeared, calling for the release of Nelson Mandela and the unbanning of political parties. No wonder FW de Klerk found it impossible to contain local and international pressure and assented to the inevitable, for which he was rewarded with a Nobel Peace Prize. The real story has not been told, surely now is the time to set the record straight? Unfortunately, like so many ANC leaders, even Nelson Mandela has found it impossible to break away from the Mephistophelean dance involving the ANC and National Party. The Long Walk to Freedom might as well be a history of the NNP for all it exposes is the manner in which isolation created a parallel universe in which Mandela was literally brainwashed into identifying with his jailers. The history of the freedom struggle is not a history solely comprised of political intrigues masterminded by politicians. It is easy to forget the role played by ordinary people and our religious leaders. It is convenient to let go of the ethical and moral debates that surrounded those who attempted, on the one hand to argue that apartheid was a crime against humanity, and on the other, those who wished to justify their actions along with segregation, as somehow informed by the Christian Bible. My own discrimination case against Media24 is yet another example of the denial of fundamental rights and freedoms in this day and age, in which a company comprised to a large extent of white, Christian males, is battling to assert its authority over the Jewish Sabbath. Media24, has yet to provide me with a bona fide contract recognizing my rights as a Secular Jew, and all that I am saying is – what I do on a Friday night is between me and my Friday night and has nothing to do with Media24. In my mind there is no contradiction between Buddhism and Judaism and one might as well talk about Hashem and THE BUDDAH, along with every other prophet who gained enlightenment, since surely in the universe, all is one, there is only one G-d at the end of the day? Then there is the possibility that infinite intelligence produces multiplicity of possibility, each one as logically consistent as the next, in which case, G-d is every G-d that has ever existed. More on this subject in the following weeks to come.